Calvin Klein is one of the leading fashion houses in the world with a modern, minimal and refined aesthetic. 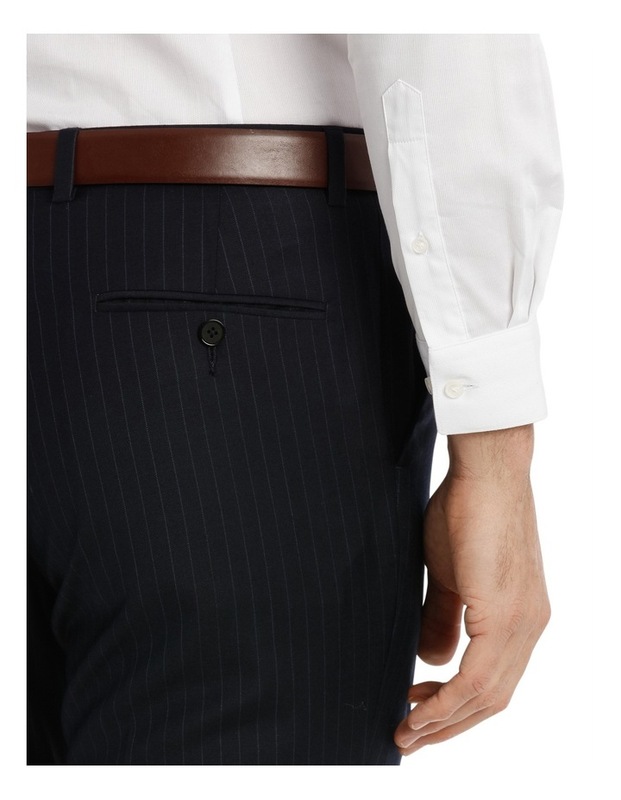 Quality fabrics and exceptional craftsmanship reinforce Calvin Klein suiting as a leader in their category. 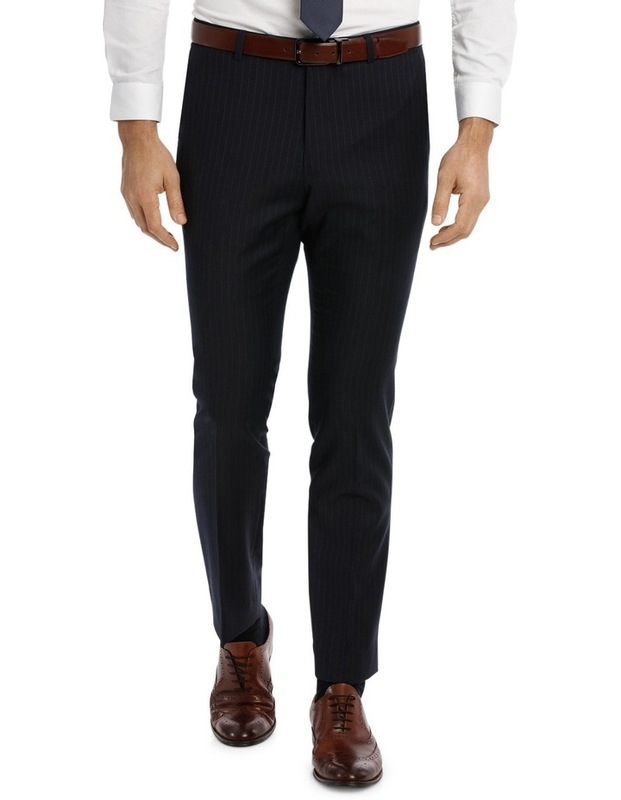 Stylish and elegant, this Calvin Klein Navy Pinstripe Suit Trouser is perfect for any business or formal occasion. 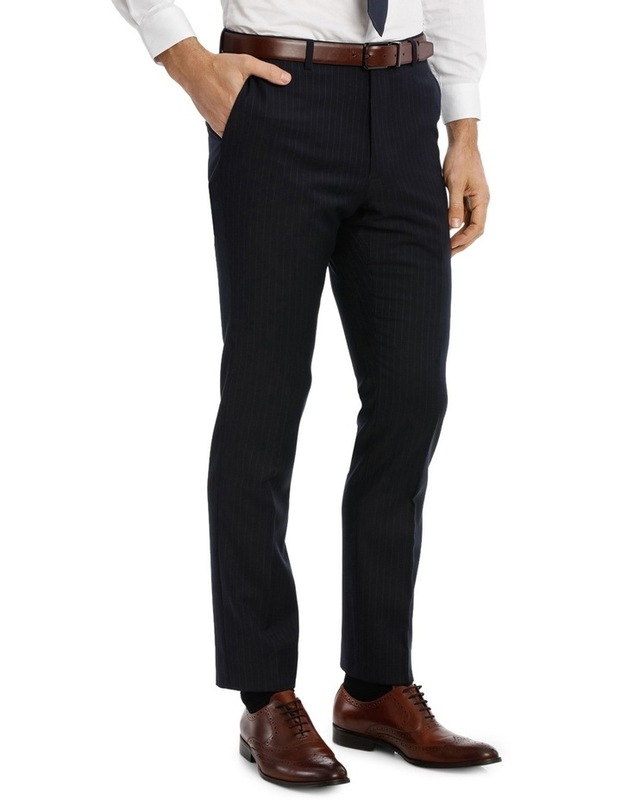 Impeccably tailored for a super slim fit, this 100% Australian wool suit trouser features a flat front design, on seam pockets and narrow tapered leg. With streamlined structuring and contemporary details, this sleek silhouette will allow you to transition effortlessly from day to night. 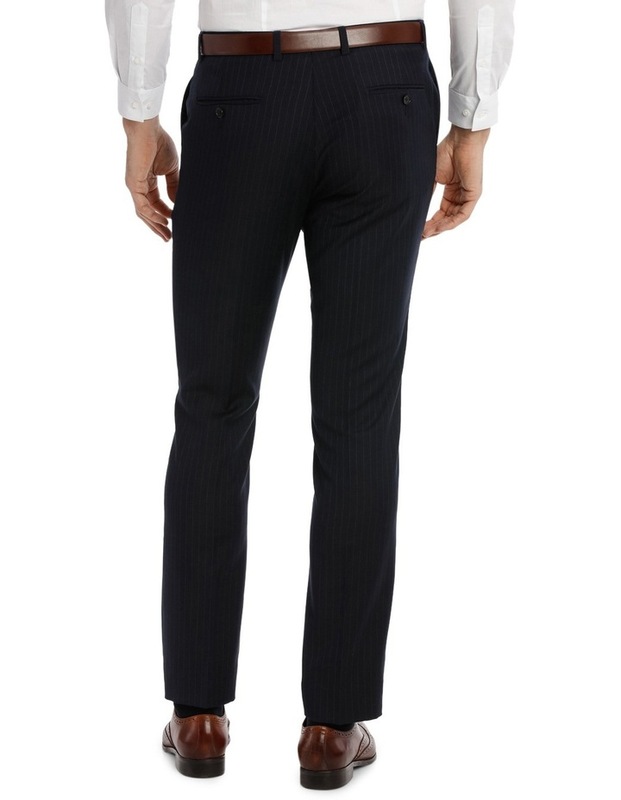 For the ultimate in sophisticated style, coordinate these trousers with the Calvin Klein Suit Jacket.